"Harvard’s Student Labor Action Movement brought the Allston debate into Harvard Yard Wednesday in a community forum led by a panel of Harvard-Allston Task Force members and community development experts. Harvard undergraduates, staff, Allston residents, and members of the broader community gathered at the Phillips Brooks House to discuss Harvard’s role and responsibilities in Allston. No representatives from the Harvard administration attended the event." "The Harvard Allston Task Force voted unanimously at a meeting Tuesday night to recommend that the city’s redevelopment authority approve the relocation proposal, but only if the conditions are met. 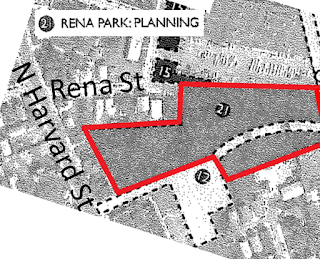 that schedules are set for construction of the proposed Rena Park and for the North Allston / North Brighton Community Master Plan that would have the park and the community planning process completed before the science complex opens." Allston's No Parking Apartment Building Is a Great But Terrible Idea: "Boston’s cheap street parking results in a bad case of trickle-down parking economics: Since the city charges nothing for resident spaces, you can justify having a car because it’s free to keep it on the street—even if your building doesn’t provide a space. If, however, the city started charging a fair and accurate price for street parking, then we’d see far fewer cars on the street, because it’d be far more expensive to keep them here. In that case, Mariscal’s building would make total sense: If you really want to have a car, pay up. Our streets aren’t free."